Team Stream, by the popular website Bleacher Report, gives you all your favorite teams’ breaking news (via push notifications) from across the web as it happens. All you need to do is select the teams or leagues you follow and get real-time notifications for them so you’re always the first to know when big news occurs. 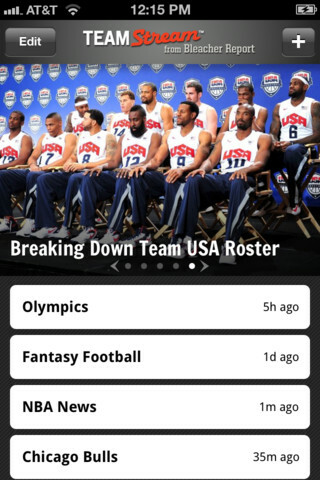 You also have the option to open the app at anytime to find even more stories for your teams from local newspapers, websites, blogs, Twitter, and Bleacher Report. My experience with this app has been mostly good, as it does indeed deliver breaking news to your phone with a push notification. 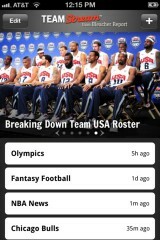 Other popular sports do this as well, but Team Stream gives you many more options to play around with. Sometimes I wonder about the quality/accuracy of the articles directly created by Bleacher Report, but the good news is that the app provides many other articles to fit the needs of the average fan. 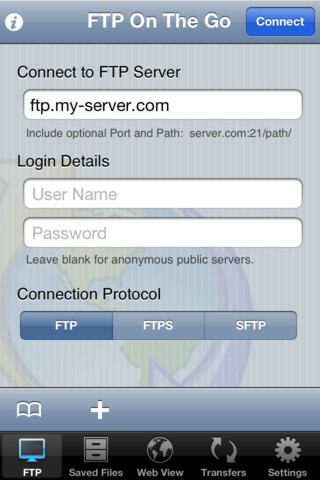 FTP on the Go is a powerful FTP client for your iOS device. The app allows you to browse, upload, and download from your FTP server. If you are looking to change website files, the app allows you to download, edit a text file with the built-in editor, and re-upload those changes to your server. You also have the ability to change all CHMOD permissions of your files. 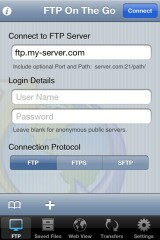 FTP on the Go even provides a nifty web browser that allows you to see your changes without leaving the app. FTP on the Go also has support for viewing various documents and files right within the app, including Word/Excel/Powerpoint/Numbers/Pages/PDF documents, as well as log files, images, videos, and (listening to) music/sounds. Also, for the security conscientious folks, FTP on the Go provides the option of master password that can be set to protect your valuable server login information. And don’t worry about entering your information every single time, because you can make a bookmark for all of your servers. I use FTP on the Go to change my websites on a daily basis when I am away from my computers. The app has a tremendous amount of options and compares favorably to even the most complex non-mobile FTP client. There are a few more affordable FTP clients out there, but I have yet to find one like FTP on the Go that has the ability to edit files with syntax highlighting support for most of the major internet programming languages. It was worth the price for me. 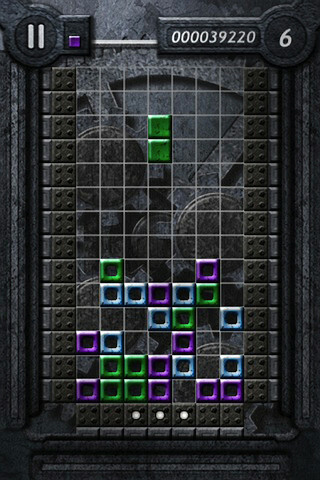 Compression takes the popular falling blocks game concept and redefines it. 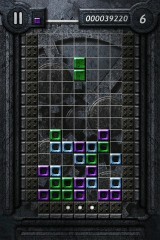 Use your previous block-dropping skills to clear the empty blocks before the walls move in on you. The more moves you make to clear the blocks, the faster the left, right, and bottom walls start to compress inward. Since all levels are randomly generated, there are an unlimited number of boards you can play to achieve that high score. You can even compare your score with Compression’s global scoreboards and achievements. I thoroughly enjoy playing this game. While most games like this are often compared to Tetris, Compression does a great job of going in a completely different direction to create a unique and enjoyable playing experience.